Our team is engaged in supplying a wide variety of Watering Cans to our customers. Highly sturdy, these cans are suitable for gardens. These cans are the beautiful example of Indian workmen ship. We offer our products in quality packaging which avoid any kind of chipping and breakage. 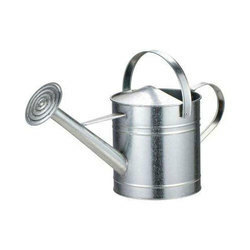 Item Size: L-15", H-9", W-7.5"
Galvanized Watering Can in Clear Powder Coat. Backed by fair trade policies, we have been able to offer our clients with the best quality array of Watering Cane. 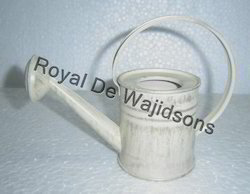 Designer Watering Can is unique shaped, beautifully painted and well finished by our expert professionals. We also take up customized orders so that our clients get maximum satisfaction from our products. Our products can enhance your collection of garden accessories.